Nissan Leaf electric Pick-up truck, anyone? It is known that the Ukrainian EV market is an unsung hero, which is why i like to report from time to time, and now it's time for another update. 3. Tesla Model S (52 units, 18 new). In 2018, electric vehicles and other vehicles equipped exclusively with an electric motor continue exempted from taxation by excise tax and value-added tax (VAT) when they are transported to the customs territory of Ukraine. Hat tip to Oleg and Illia, for the help on this post. Most electric vehicles are Nissan Leaf. By rule people who buy them already have one car in the family. This electric vehicle is purchased for travel from home to work in the office and back. Many drivers of the Nissan Leaf are women. In megacities (from 300,000 population to 5,000,000), we can get from suburbs from a distance up to 60-70 km. Odessa - a major seaport - receives ships from America with Nissan Leaf, there they are cleared and sold and partly taken to Kharkov and Kiev. Through Odessa there is a flow of non-cleared cars with Moldovan, Romanian, Bulgarian numbers. Autos with Polish plates go through Lviv and Lutsk. Autos on Lithuanian plates go through Belarus to Kiev, Lviv and Lutsk. Kharkov is the headquarters of the largest auto-importer in Ukraine of imported electric vehicles, AutoEntherprise. Gasoline and diesel fuel cost $ 1.2 per 1L. Electricity $ 0.09 per 1 kWh commercial price and night rate if you charge at home about $ 0.04 per 1 kWh. Most prefer refueling gas cars with propane butane (LPG) for $ 0.5 per 1l. 4.2% of ALL car sales or only PEV sales? Make that 7%, and yes, of all car sales. But keep in mind that 6% of those 7% are second hand units. Nevertheless, even if only 1% are new units, that number is enough to place Ukraine as the #8 highest BEV share in Europe, tied with Germany(! ), France(!!) and Sweden(!!!). And comparing with the rest of Eastern Europe, Ukraine is by far the most electrified market, with double the BEV share of the next market, Romania (0.5%) in that part of the world. And they are doing this, despite all the economic and geopolitical constraints that Ukraine is suffering, to them i say: "Bravo!" Original design Leaf Pick-up truck :) a bit roughly executed after leaving the back without paint. I've checked on other sites that Ukraine's total EVs sales volume (imports) for the Q1 of 2018 is 1,744. 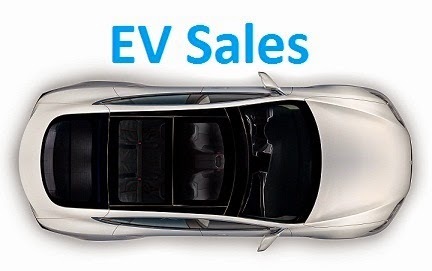 And is the 'new' sales volume of Nissan Leaf, BMW i3, and Tesla Model S listed above correct for April sales? Please check again once again. Checked and corrected, thanks for the input. import Q1-1744; registration (sales) Q1-1221.